It’s perhaps reassuring when you find that even those at the very top of the bicycle industry tree are cycle enthusiasts. 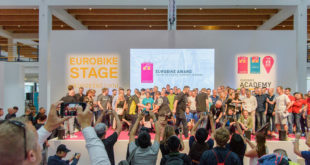 Bike industry goliath Derby Cycle – which sold 480,000 bicycles and achieved €235.5million revenue in 2010/2011 – took up a huge exhibiting space at Eurobike showcasing Focus, Univega, Rixe and Cervelo. 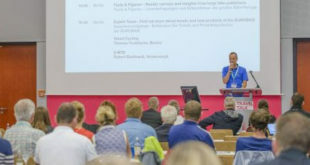 Soon after being introduced to its CEO Matthias Seidler, BikeBiz was being enthusiastically taken through a series of pictures the chief executive had taken during a cycle trip to London during the Olympics. Perhaps he was flattering BikeBiz’s home country, but Seidler insisted that the UK’s cycle market has matured hugely over the past decade or so. It’s not just the growth of the UK market that has been hitting the headlines over the past 12 months – it’s also been a big year for Derby Cycle: it merged with Pon Holdings, which in turn acquired Cervelo, and all in the last year. But despite significant changes behind the scenes, the firm’s approach to the UK cycle market remains the same as it established around a year ago when it adopted a direct distribution model for Focus on these shores. Seidler states: “Our strategy for Derby Cycle in the UK hasn’t in any way been changed, adapted or touched for the reason that the change was at a corporate level. Since that watershed move, Derby’s Focus has seen what Seidler calls “incredibly success” on these shores. Focus scored ‘Bike of the Year’ titles with Cycling Plus, praise from Cycling Weekly, plus other assorted ‘Best in Test’ wins. 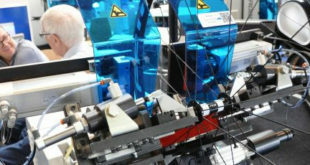 The process of taking product direct to UK cycle retailers hasn’t proved a significant challenge for the company, which is based not so many miles away in Germany. While Derby Cycle has a wealth of brands it can call upon, Focus is where it is er, focusing its efforts. But hold on, Derby Cycle’s boss says the mountain bike sector is experiencing a rise in the UK? Isn’t road much stronger? 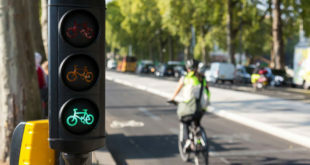 Despite all this optimism, the UK market isn’t all roses in 2012, as many bike retailers will be swift to comment on. What are Seidler’s views on a slowing market and the fact that Derby Cycles’ strong e-bike offering would possibly struggle in the UK?